Well, it's Friday and the weekend is almost here. 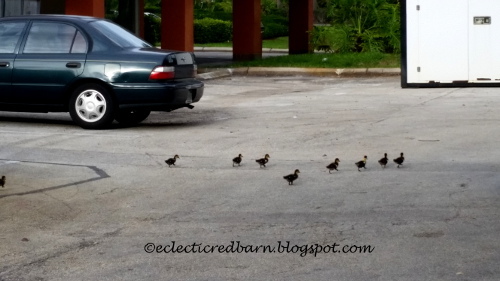 What could be better than some baby ducks to start off the weekend. I went to the grocery store and as I left, I went around the back of the plaza - you know where the trucks deliver and all the garbage is. There they were, two mommies(I am assuming here since there were so many babies around 18) and their babies walking along. Here is a quick and easy meal that is sure to please everyone. Chicken and string cheese, how can you go wrong. I had great ideas about dinner last night, but one thing lead to another and before I knew it, my husband was home from work. I had two chicken breasts and it seemed like everything I wanted to make, I didn't have all the ingredients. I did have string cheese, so that's what I used. Sorry that these are not the greatest images. My husband, kept saying, "can we eat now?" It was a time of change. It was a time to set aside the rationalism of the past and embrace the artistic and literary ways of thinking as well as intellect. Its literature and art is dynamic, painting the era in a way only Jane Austen and William Blake could do. The Victorian era lives on through these works of art, and brought to life in the living and dining rooms of those who embrace it. Victorian era antiques are often intricate in every way possible. Find ways to integrate those details into the décor of the room, by using unique plates or other pieces from the era to display amidst a mixture of coordinating furniture. 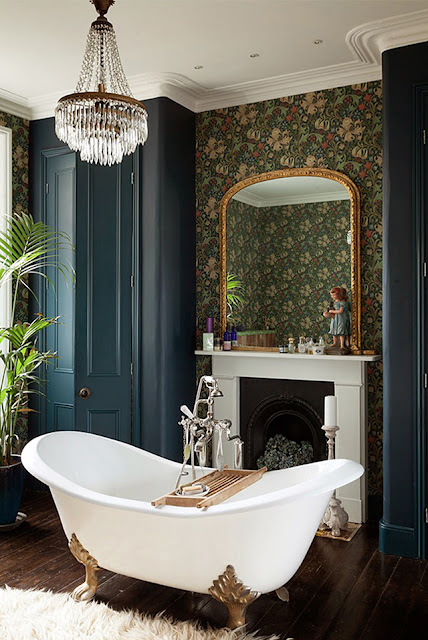 A claw foot tub is a must for any Victorian-themed home. Not only does it encapsulate the era, but it’s darn cozy to think of soaking in a brilliant one-of-a-kind tub by the fire with a good book by candlelight. 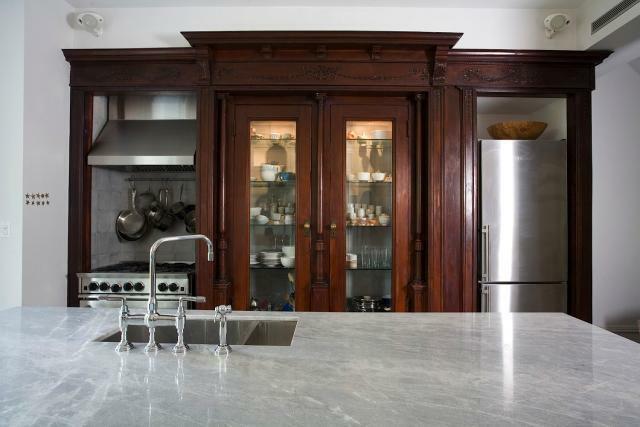 If you appreciate modern touches, it is okay to mix the old with the new. 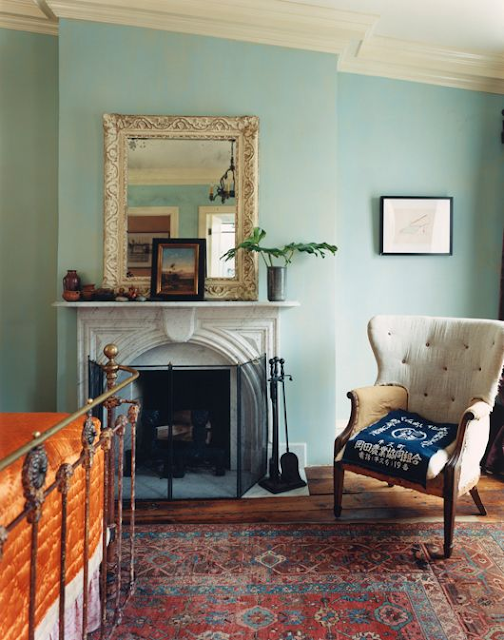 Proceed with caution, as it needs to be the right combination of pieces to work together, but know it is perfectly acceptable to showcase a beautiful piece of Victorian furniture amid more modern touches. What may have seemed like a good idea at the time may not still be right for the spaces in your home. Between patterned wallpaper and chandeliers and handcrafted details in the furniture, it all can be a little much. Remember it’s okay to find one or two features to highlight in a room, like an especially unique bed frame or magnificent fireplace, and have them really stand out. 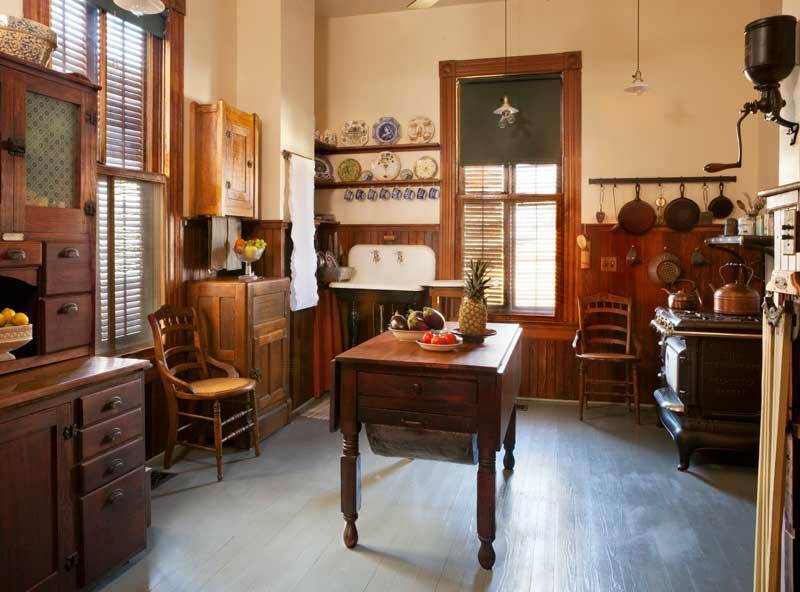 There is much to appreciate in Victorian-era pieces and within Victorian homes themselves. One feature that seems to appear a lot is the chandelier, so don’t forget to find a way to incorporate one into a prominent space. Make it the focal point of the room by keeping crisp, white walls that keep the attention on the furniture or lighting choices. Hope you found some inspiration in one of these images. The post Embracing the Victorian Era With Antiques in Your Home - Guest post first appeared on Eclectic Red Barn. It time for Wake Up Wednesday. Last week we had over 500 linkups. Fantastic! So many fabulous ideas, I can't wait to see what you share with us this week. I have been away from my blog the last couple of weeks, but it has all been good. I spent a week visiting my grand kids that was so special. When they live far away, you certainly appreciate the time when you are together. I arrived home from my visit to the grand kids and my daughter had actually arrived the day before. She has moved here from California and I am so excited. She will be living in our other house where her new job is. We headed for the other house with the few remaining personal items that she didn't sell. Having to sell all her household stuff was hard for her but she seems to be adjusting. This bookcase was something that she and I picked up that someone discarded along the road. Old Factory Candle Giveaway Winner! Announcing the winner of the Old Factory Candle Giveaway. The winner is Joan K. Congratulations Joan! I would like to thank everyone that entered the Old Factory Candle Giveaway. Last week you out did yourselves - so many wonderful posts. What talented bloggers we have. Check out the features below and then link up your creations for this week. I can't wait to see what you have been up to. 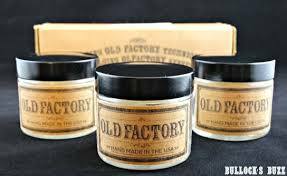 Just a reminder that the Old Factory Candle Giveaway will end on Wednesday, July 22. You still have time to enter to win a set of Old Factory Candles. See details below. One lucky winner will have the opportunity to choose a set of Old Factory Candles. Below is a list of the various box scents you can choose from. Mangoes are getting bigger on my trees and you can find mangoes in most supermarkets. I love mango season with all of the mango recipes. 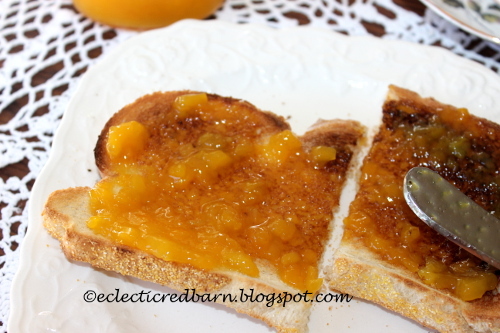 I have made so many recipes with mangoes, but today I am sharing my recipe for mango jam. On July 15th, Amazon is celebrating Amazon Prime's 20th birthday - Prime Day. Great deals are open for prime members. In honor of Prime Day, I am giving away a set of Old Factory Candles. 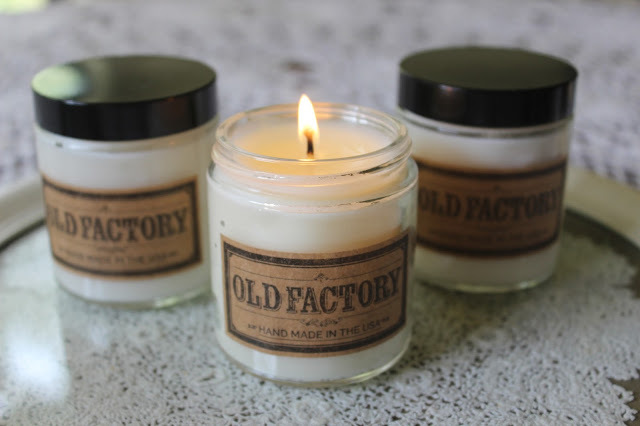 Old Factory Candles are scented; natural soy wax; burns clean for hours; and are made in the USA. One lucky winner will have the opportunity to choose a set of Old Factory Candles. (Giveaway will begin at midnight.) Below is a list of the various box scents you can choose from. Almost the middle of July. Where is this summer going? 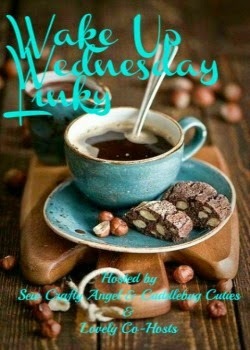 While you are enjoying the summer, don't forget to stop by Wake Up Wednesday and share with us. We are looking forward to seeing what you have been doing this week. I am so excited to be here co-hosting the Chain Linky CLIMB with my great friends Angie and Angel. This is such a great way to grow your blog and meet new friends. I look forward to seeing what you share with us. Check below to see if you are my Highest Climber! Hard to believe that we are in July, summer just seems to be flying by. It is a new week and time again for Wake Up Wednesday. Last week was another awesome week of projects, recipes, stories, DIYs and so much more. Come join us again this week and share what you have been up to. 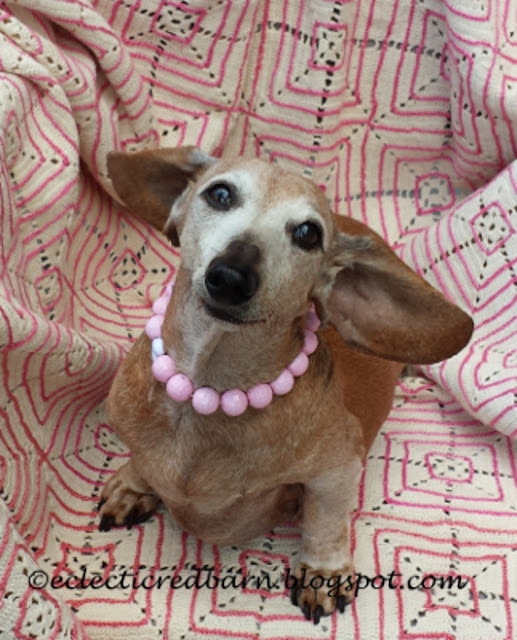 As our dogs age, they often suffer from sore joints that can cause them to slow down. Our Marina is around 14 now, not sure of her exact age since we rescued her. She likes to sleep, who wouldn't at that age? The other dogs keep her going. No time to rest. She seemed to be slowing down and when I was asked to try this K9 Joint Relief, I thought of Marina. All comments are my own. What better way to celebrate the 4th of July than by going camping. Actually, we love to camp no matter what the occasion is. 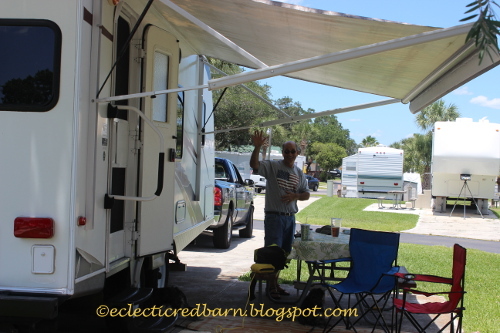 Lake Okeechobee is our favorite place to go camping. It is the largest KOA in the US.